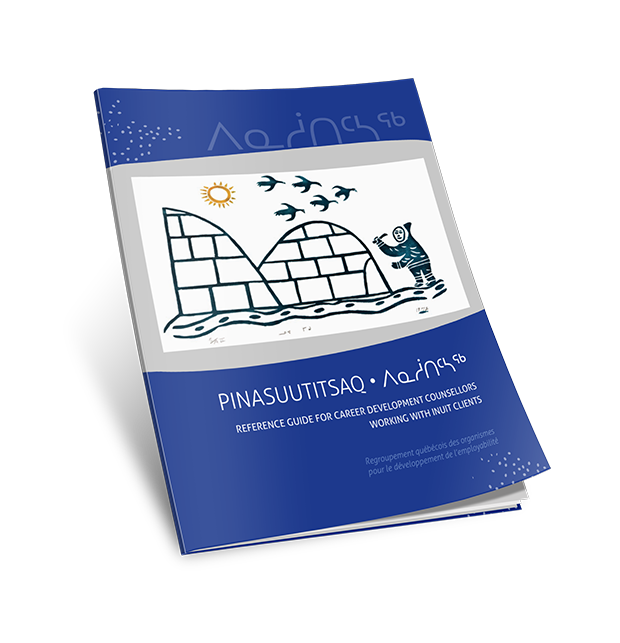 Pinasuutitsaq – ᐱᓇᓲᑎᑦᓴᖅ is a new reference guide which aims to improve career development interventions with Inuit clients, in urban and northern settings. It was developed by Regroupement québécois des organismes pour le développement de l’employabilité (RQuODE) with support from CERIC and the Kativik Regional Government. The goal of this guide is to equip counsellors working in Inuit communities or with Inuit clients so that they might better be able to identify culturally specific features in their interventions with this clientele, while improving their understanding of the major issues encountered by Inuit seeking employment.